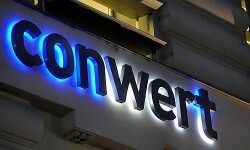 The Austrian real estate company expands in Germany. Sales volume of the construction project in Bamberg is estimated to reach € 100m. conwert Immobilien Invest SE will establish a joint venture with the Bavarian construction and sales specialist denkmalneu GmbH for the construction of the first car-free multi-generation urban district in Bavaria. The sales volume of the joint project located in the former Schaeffler commercial area in Bamberg totals € 100m.